Since Israel imposed its blockade on the Gaza Strip after Hamas’ victory in the 2006 legislative elections, besieged Gazans have received remarkable regional and international support, including health and infrastructure projects, the rebuilding of destroyed houses and the construction of schools. Turkey’s presence in this regard owes perhaps to good ties with Hamas, although Turkey has also funded projects in the Fatah-controlled West Bank, most notably the Jenin industrial estate in the north that created 15,000 jobs. Some observers are impressed with Turkey's generosity, but is it too good to be true? Some suspect more than altruistic motivations that may have to do with Turkey's interest in establishing itself as a key political player in the West Bank's future. In one of the most recent projects, Palestinian officials announced March 23 they signed a contract with Turkey to build 320 housing units for the victims of the Israeli war on Gaza in the summer of 2014. Palestinian Minister of Public Works and Housing Mofeed al-Hasayneh has estimated that the war resulted in the destruction of 12,000 housing unitsand damage to 160,000, of which 6,600 were left uninhabitable. Mohammed Murtaza, coordinator of the Gaza office of the Turkish International Cooperation and Coordination Agency, told Al-Monitor the new housing project will cost $13.5 million. The 5.4-acre project consists of 20 four-story residential buildings divided into a total of 320 housing units of roughly 1,000 square feet each. The site is in the Wadi Gaza region, about a mile from the eastern border with Israel. Since 2006, Turkey has seen dozens of economic, developmental and humanitarian projects in Gaza through, including the provision of temporary shelters for those whose homes were destroyed in Israel's wars in 2008, 2012 and 2014. In addition to the extensive residential destruction from those wars, dozens of mosques, cemeteries, schools, universities, media offices and other buildings were also damaged. Turkey paid to repair electrical networks, and water and sanitation facilities, and rebuilt houses of worship, cultural centers, heritage sites, roads and bridges. It also helped compensate farmers for their losses. Turkey has delivered tons of medical aid and treated wounded Palestinians in Gaza. It has granted Gaza’s university students scholarship opportunities and organized mass weddings for thousands of low-income young people. Turkey’s projects in Gaza are implemented through Turkish relief organizations including the Turkish Yardim Eli (Helping Hand) Foundation, the Turkish Red Crescent Society and the IHH Humanitarian Relief Foundation. “Turkish projects in Gaza are of great value to the Palestinian economy in light of the siege and closure suffocating the Palestinians," Mouin Rajab, an economics professor at Al-Azhar University in Gaza, told Al-Monitor. 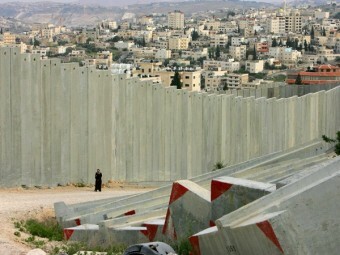 "These projects have served large Palestinian sectors, especially the contracting sector. They have provided numerous job opportunities that increased the GDP and reduced the unemployment rate, which peaked in May at 43%." He noted, however, "In addition to the economic profits it reaps from its projects in Gaza, Turkey seems to be seeking a weighty political role and influence in the Palestinian political course." Al-Monitor toured a few the Turkish projects in Gaza, including the Turkish-Palestinian Friendship Hospital in central Gaza Strip. Islamic University of Gaza managed the construction of the $35 million hospital, which began in 2011 on an eight-acre site. The hospital provides health services in all medical fields and is equipped with modern operating rooms and radiography equipment. On Feb. 3, a large Turkish economic delegation that included a number of senior Turkish business leaders visited Gaza and met with Ismail Haniyeh, the deputy head of Hamas' political bureau. The delegation confirmed Turkey’s willingness to establish an industrial zone in Beit Hanoun in northern Gaza, which is projected to create 10,000 jobs for Palestinians. Hassan Asfour, the former Palestinian minister of nongovernmental organizations affairs, called on the Palestinian presidency Feb. 29 to rise against the political role played by Turkey in Gaza. He said Turkey's actions will destroy Palestinian legitimacy, create a state of national geographical separation between the West Bank and Gaza Strip, and press for the establishment of Gaza as a state. Asfour’s call coincides with reconciliation talks between Israel and Turkey. Ties between them were cut six years ago, when the Israeli military attacked the Turkish ship Mavi Marmara off the Gaza coast. In December 2015, the news leaked that Turkey is seeking a foothold in Gaza as one of its conditions for reconciliation with Israel. He added, “The political positions of Turkey, in parallel with its economic support, exceed by far some Arab positions. However, despite their economic projects in Gaza, the Turks did not ask Hamas to take any particular political positions. Their assistance was purely humanitarian." Some say that many donors, including Turkey, are not charities. Political interests may motivate Turkey’s financial and humanitarian aid, no matter how hard both sides try to deny it. Increasing Turkish projects in Gaza would allow Turkey to become a key player in the Palestinian issue, as is evident in its stances and moves regarding Israel's blockade. However, Egypt, Gaza's closest neighbor, refuses to grant Turkey a foothold in the Gaza Strip. Egypt considers Gaza an internal national issue and the country's relations with Turkey are already strained, as Turkey is harboring Egyptian Muslim Brotherhood leaders. Cairo fears that additional Turkish influence in Gaza would represent a threat to Egypt’s eastern border with the Strip.